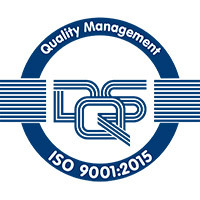 The consistent, high quality of our products is the primary focus of our business. Recognised as one of the leading suppliers of standard nuts, bolts and washers as well as specialised fasteners, our products are used in both low and high-end industries where a lot rides on the integrity of our products, many of which are used in safety critical applications. All processes within our operation are managed on a customised software programme, specific for this type of manufacturing and distribution, to track and monitor every step of production, from raw material to the finished product. At Impala Bolt & Nut, we strive for a zero defect policy with rigorous testing on all products. Our quality control department is fitted with state-of-the-art quality testing equipment, allowing us to scrutinise everything we produce before we allow it on to your floor. Testing is done in-house; with independent testing by a third party on request. Regular batch testing is undertaken in accordance with accepted quality standards based on hardness, tensile tests and torque tests to ensure strength and tolerance. Every product that Impala Bolt & Nut produces comes with a full certificate of compliance which can be provided to the client upon request. 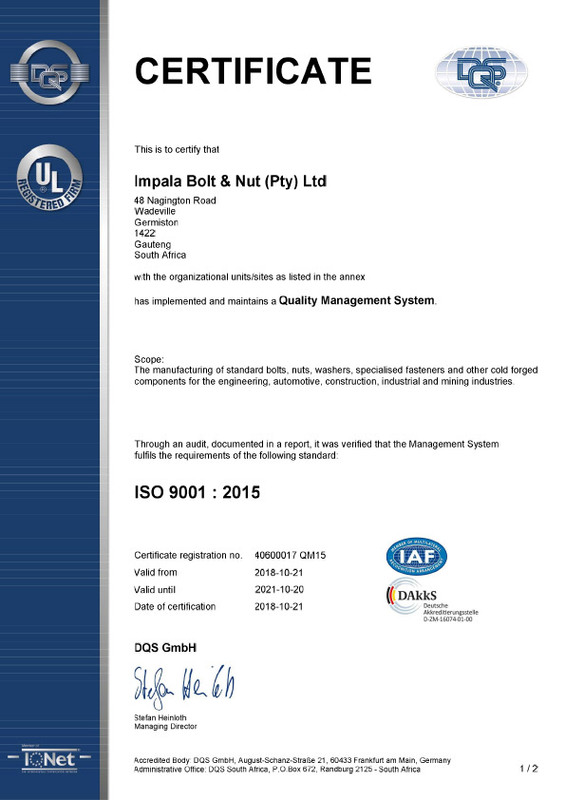 All Impala Bolt & Nut products are manufactured to ISO and SABS specifications, and other relevant standards as required by our clients. 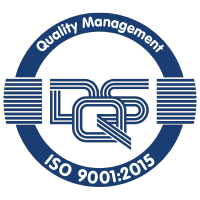 We have a sound quality management system in place that has achieved ISO9001:2015 certification to ensure constant conformity and efficiency in everything we do, demonstrating our ever-vigilant commitment to quality standards.